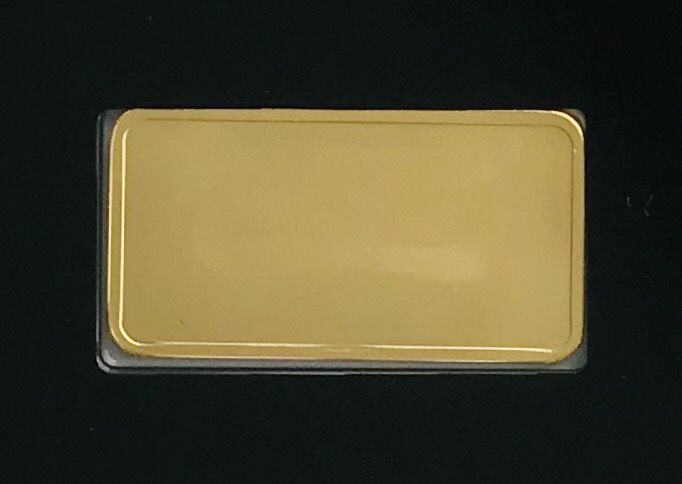 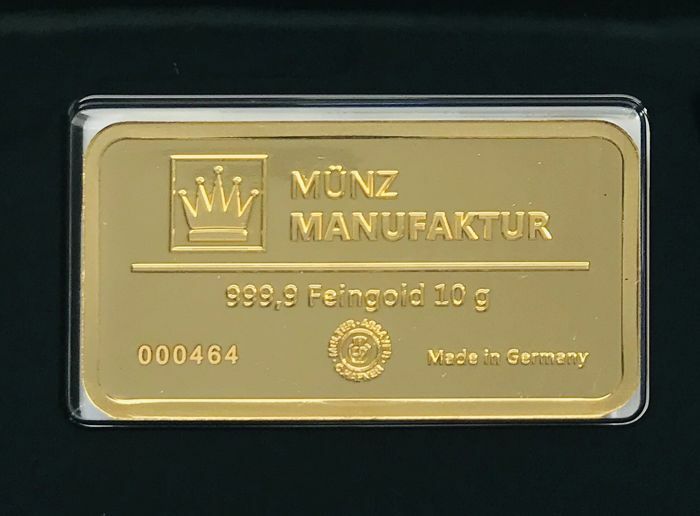 Freshly minted and rare gold bar. 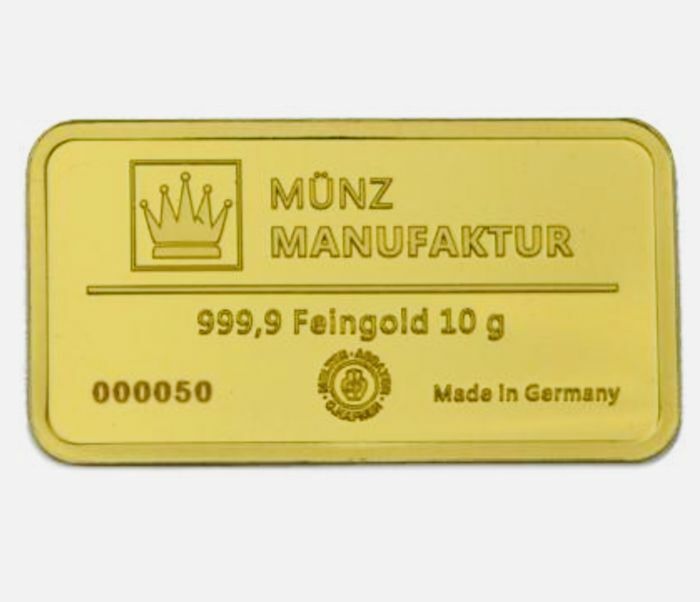 10 g of 999.9 fine gold. 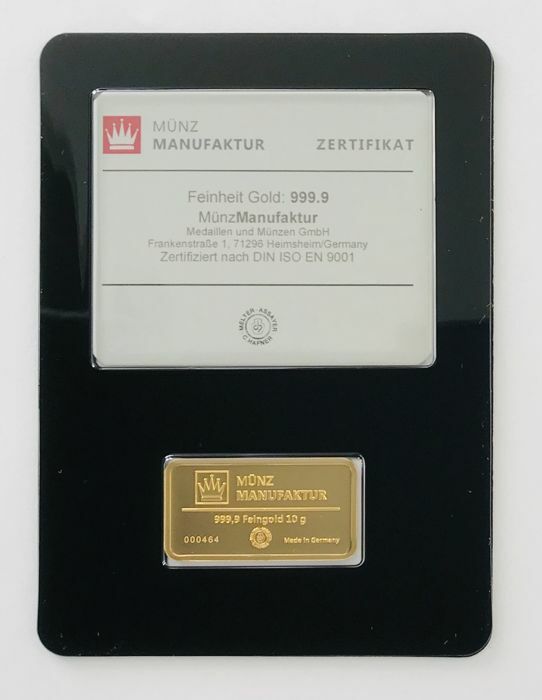 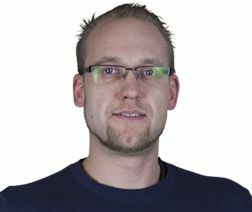 the serial number shown is only an example.